The Under 19 European Championship takes place in Romania. Here’s the full schedule! The games will be broadcasted by Eurosport, with Pro TV and Sport.ro the Romanian TV stations that bought also broadcasting rights. Victor Piturca’s third spell at the national team starts now. Should we (re)start hoping? The always unhappy Piturca is back. Can he make us smile again? He’s the last coach to have qualified with Romania at a final tournament. It happened in 2008, when Romania topped a qualifying group that included the Netherlands, with 9 wins, 2 draws and just one defeat (0-1 against Bulgaria), and travelled to the European Championship hosted by Austria and Switzerland. Interesting stat: of the 23 players selected for that tournament, only two have retired from football (Cosmin Contra and Florentin Petre), with Cristian Chivu and Mirel Radoi retiring this year from international football, but continuing their careers at club level. 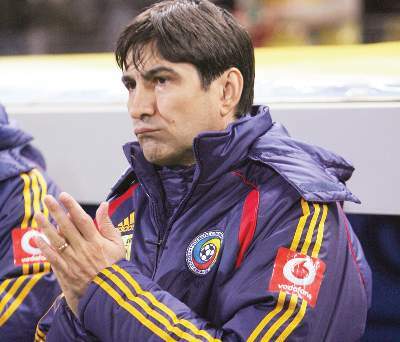 Piturca, who had also a first brief spell with the NT between 1998 and 1999, wasn’t the Federation’s first choice, but Mircea Sandu failed to convince Gheorghe Hagi and had to settle for a coach who comes after two huge scandals at club level, with Steaua and the recently relegated Universitatea Craiova. Piturca has a record of 62 games, 36 wins, 13 draws and 13 defeats, with 105 goals scored and only 46 against. He loves to play a 4-1-4-1 system, which isn’t far from what his predecessor, Razvan Lucescu, tried, but he likes to implement a possession game and determine the opposition to play a reactive game. 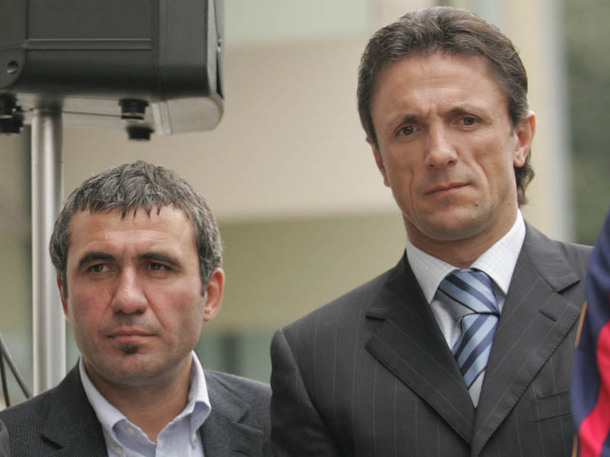 “The new Hagi”? Yeah, right! Thousands of Viola fans took the streets and the Romanian Football Federation refused to take the final decision yesterday. Mircea Sandu – the president – stated that he asked UEFA’s licencing committee to intervene (which means that the information that UEFA was the one to deny the club’s access in the Champions League!) and check the documents as well as the Romanian’s calls that affect especiall FC Timisoara. A new meeting and a second attempt to either go through with it or take a step back and allow both Timisoara and Bistrita to keep their Liga I status has been scheduled on the 20th of June. It’s a shame that Gloria Bistrita goes down for a debt of around 100.000 Euros! You can’t make a dead man return from the grave (Romanian saying adjusted to Timisoara’s chances to escape this). There is no way Timisoara can get the licence to play Liga I football next season. UEFA has been asked to check the documents of the six clubs that initially qualified for Europe, plus those of 7th placed Gaz Metan Medias, who should play in the Europa League, after Timisoara’s exclusion. What’s absolutely certain is that Timisoara won’t be allowed to play in the Champions League. UEFA’s investigation cannot change our decisions. If we were wrong, then the Federation will get a fine of around 70.000 Euros. Timisoara’s chances to turn this around are zero. Timisoara’s not relegated, you’re in for a big surprise! Everybody said it’s Sandu’s hand, but I refuse to believe it. I have asked for his help.